Just wanted to mention that my friend and fellow writer, Allyson Bird, has her first collection released from Screaming Dreams this week. 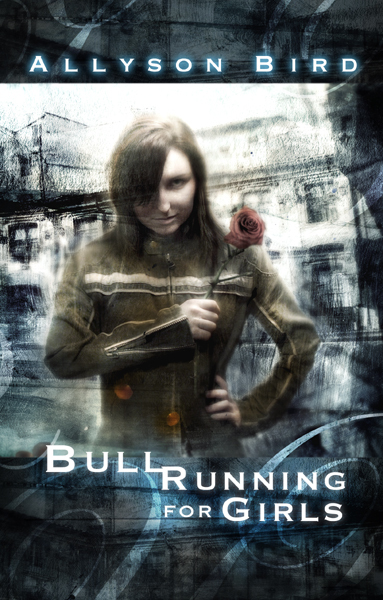 BULL RUNNING FOR GIRLS features 21 short stories covering the horror and adventure genres and has an introduction by Gary McMahon. It’s been recommended by Laird Barron on his blog here, where he compares her work favourably against writers like Matt Cardin, Mark Samuels, and Don Tumasonis. This sounds like a cracking read and the extracts I’ve seen so far have been superb. At a mere £9.99 plus postage, it’s a bargain for what will be the debut book from a writer with a very promising future. Click here to order. This entry was posted in Uncategorized and tagged Allyson, Bird, Bull Running For Girls. Bookmark the permalink. The cover art looks like Vincent Chong’s haniwork. Allyson has always been a fantastic prose writer. And with 21 pieces, it will surely be worth the price. I, myself, first happened upon her work at Whispers. Yes, Lawrence it is a Vincent Chong creation, all right. It’s a great cover. I can’t wait to read this book. I’ll email you when I get a moment. Thank you so much Steve and Lawrence! I’ll be on my second print run after the BFSCon – so again, thank you for both comments! Congratulations, Ally. I hope you’ve reserved my first edition. Certainly have Steve! Thank you!